Kybella is the first and only FDA-approved injectable treatment to improve the appearance of moderate to severe fat beneath the chin. 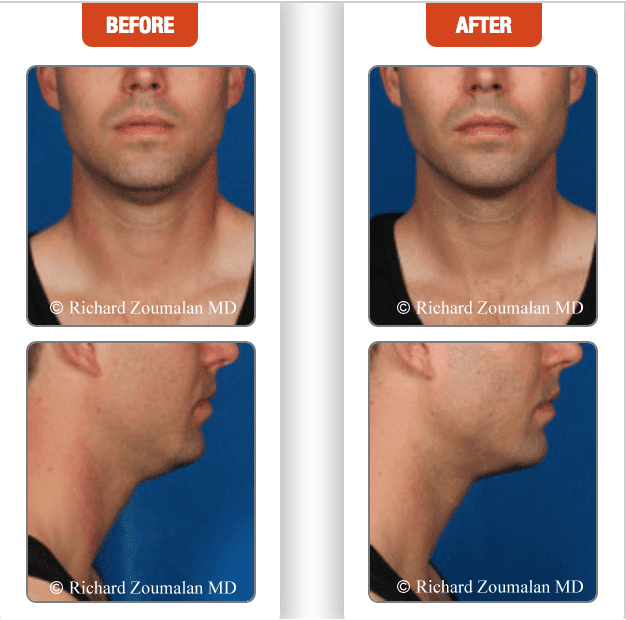 Sometimes, even with diet or exercise, both male and female patients experience unwanted fullness beneath the chin. 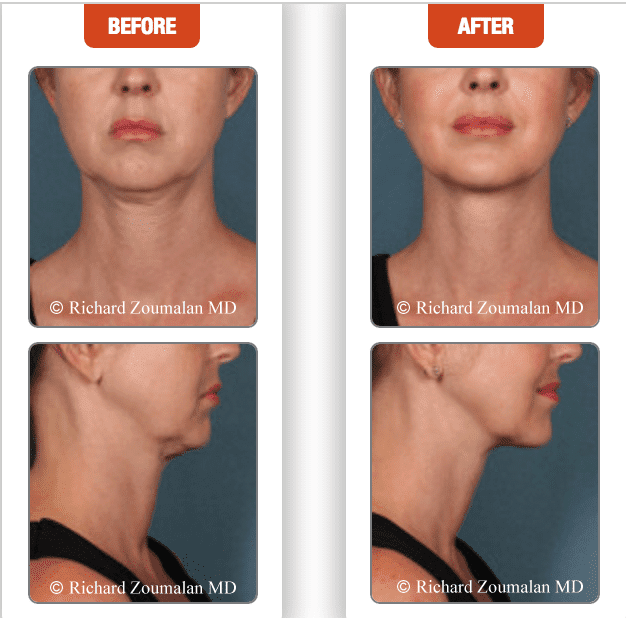 When injected into the fat beneath the chin, Kybella destroys the fat cells and once destroyed, the submental fat cells cannot store or accumulate fat. Kybella uses a deoxycholic acid, which is a naturally occurring molecule in the body that aids in the breakdown and absorption of dietary fat. Dependent upon the amount and distribution of the submental fat, Dr. Zoumalan will determine how many treatments are necessary. Patients may receive up to 6 treatments spaced between one month increments. Treatments typically take between 15 to 20 minutes and patients typically return to their normal daily activities post injection. How do I know if I am a Kybella candidate? 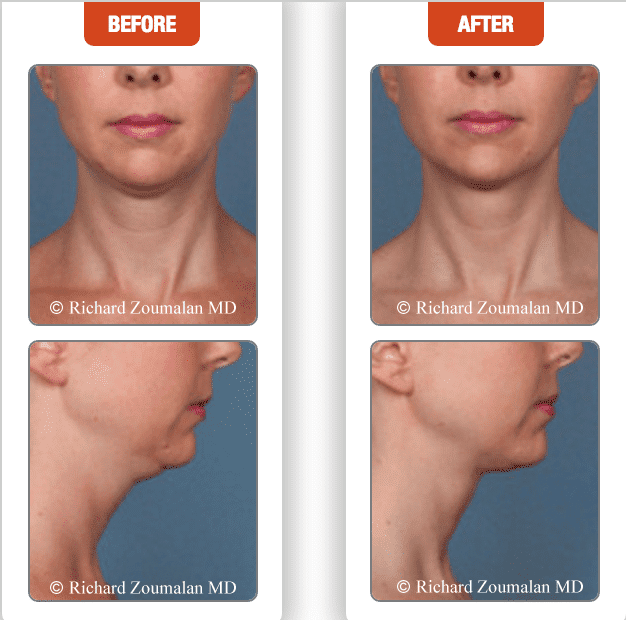 Patients who do not want surgery and have concerns with the fat under the chin or suffer from stubborn submental fat regardless of weight loss may be great candidates for Kybella.